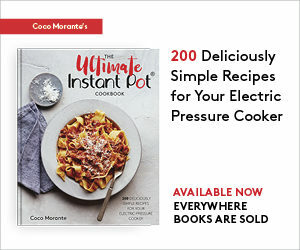 When you tell people you write a food blog, one of the first questions they ask you is, “So, have you thought about writing a cookbook?” Why yes, yes I have. 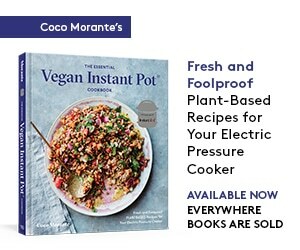 My dream cookbook project would be called A Californian Kitchen, wherein I’d showcase my handiest kitchen skill: bastardizing versions of classic dishes to suit my West Coast whims. Someday, my friends. 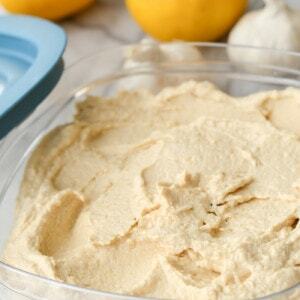 For now, I’ll share my basic, go-to hummus recipe. 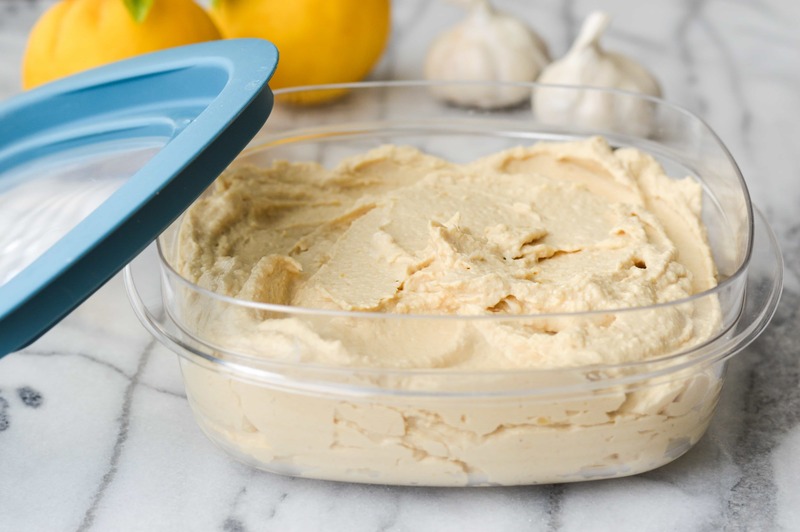 Since I bogarted my parents’ food processor some months ago, I’ve made many batches and settled on my favorite proportions of chickpeas, tahini, lemon juice, garlic, and sea salt. Five ingredients are all it takes. Many recipes include olive oil and cumin as well, but I really like the flavor of the rich and slightly bitter tahini to come through in full force. As for the Californian twist, I’ve used Meyer lemon juice instead of the regular variety, and pared down the ingredient list to just the necessities. Meyer lemon juice is a lot sweeter than the jucie from Eureka lemons, the variety you’ll usually find in the grocery store. It also has a headier aroma, like lemon with a hint of tangerine. When you see these seasonal beauties in the produce section, snap ‘em up — they’re wonderful for sweet and savory dishes alike. My friend Danielle’s tree is in full production mode, so I’ll be throwing these into everything I can as long as she’s providing them. 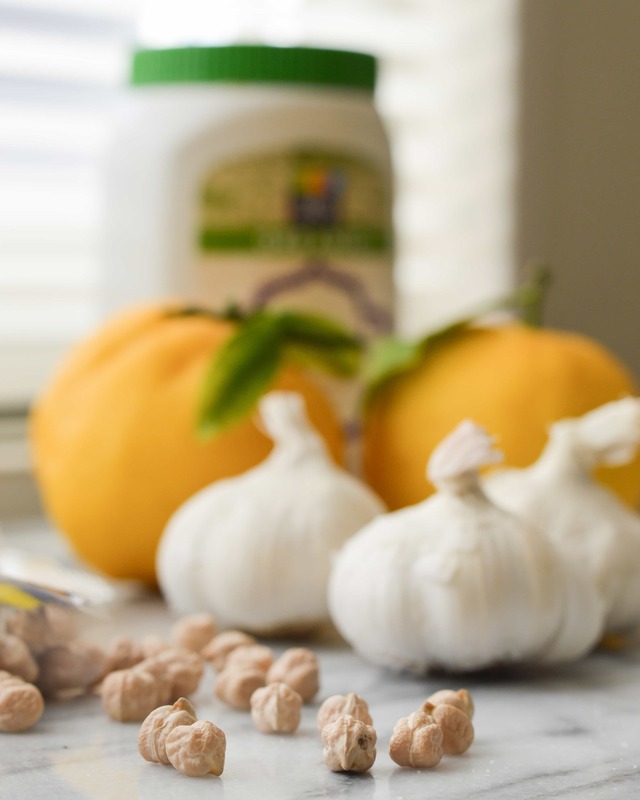 I like to use dried chickpeas, as they are about a third the cost of the canned variety, taste markedly better, and I can add as much or as little salt as I like during the cooking process. However, this recipe calls for precisely the amount of dried chickpeas as one 15-ounce can, so feel free to substitute if you are short on time. Place the soaked chickpeas in a medium (2-quart) saucepan, and add enough water to cover by a few inches, along with the 2 teaspoons of sea salt. Bring up to a boil over medium heat, then turn down to low heat and let simmer, covered, until the chickpeas are tender but not falling apart.This will take anywhere from one to two hours, depending on the freshness of your dried beans. If the water gets too low due to long cooking time, simply add more boiling hot water to the pot. After one hour of cooking, taste every 15 minutes or so to check for doneness. Once the chickpeas are finished cooking, drain in a colander and set aside to cool until no longer steaming hot, about 30 minutes. 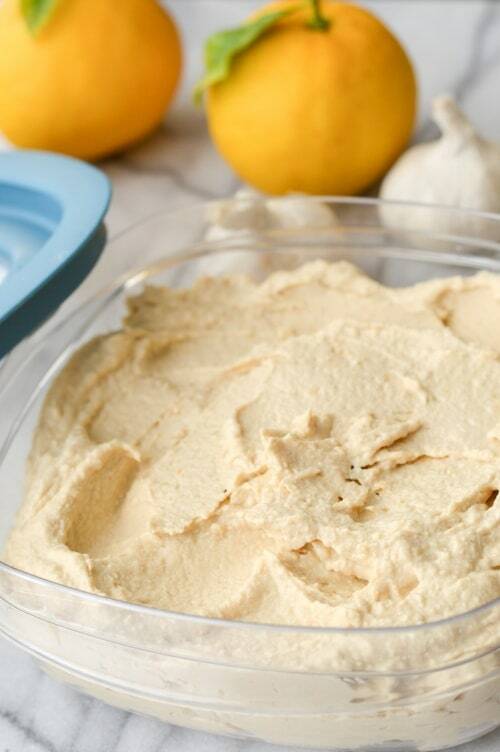 Pour the chickpeas into a food processor and add the lemon juice, tahini, garlic, and remaining 1/2 teaspoon of sea salt. Process until very smooth, using a spatula to scrape down the sides of the container halfway through processing. Adjust salt to taste, if desired. Transfer to a tightly covered container and store, refrigerated, for up to one week.